A good marriage is a strong and sacred foundation upon which a God-loving family may be built. It is between a man and a woman; it is a permanent union; and it is blessed by God. Unfortunately, modern marriage laws no longer reflect true marriage—in fact, today's legal definition of "marriage" bears little resemblance to the institution of traditional marriage many of us still hold dear. 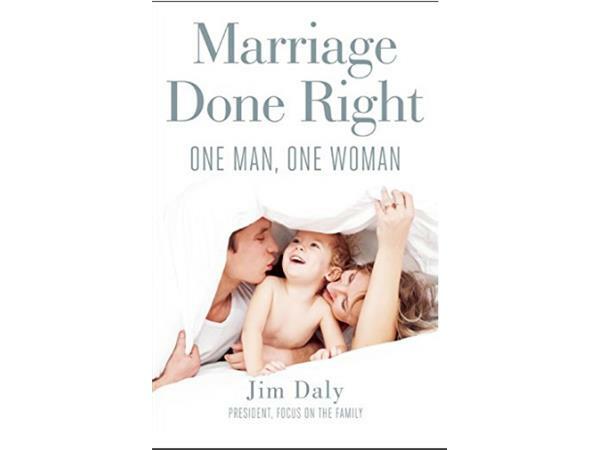 Jim Daly, president of the evangelical organization Focus on the Family, celebrates God's original design for marriage in Marriage Done Right: One Man. One Woman. This faith-based book is an exploration of God’s purposes for marriage, including the unique benefits that a mom and a dad bring to the partnership of raising children. With a compassionate tone and an eye toward the future, Daly reaffirms the beauty of traditional marriage and reflects on how the Supreme Court's 2015 redefinition of marriage is affecting today's marriage culture.